This is the final part in the series about the importance of one partner limiting their hand. One of the joys of Bridge is when you first look at your cards and find that you have a monster hand of 22 or more points. You open Two Clubs which makes you the captain. Partner must limit his hand. One of the disappointments of Bridge is hearing your partner reply with a bid that says he has absolutely nothing. But it is much better that he tells you that he is weak than for him to bid blindly ahead. There are different conventions to respond to the Two-Club opening. Today we will look at my favourite convention, “Two Heart Bust”, and the associated bids required for partner to limit his hand. Your opening bid of Two Clubs is an artificial forcing bid. Your partner has to reply. He has three possible choices which will be described in detail below. The first two choices, Two Diamonds and Two Hearts, are artificial. The third possibility is the bid of a suit in which he has at least five cards. Traditionally, the partner of the opening Two-Club bidder was supposed to keep bidding until game was reached. In most partnerships now, this is no longer the case. If he does not have at least an Ace, or a King or two Queens, he swallows his disappointment and bids Two Hearts. A bid of Two Hearts after the Two-Club opening is artificial and says nothing about Hearts. It says, “I’m sorry partner. I have a ‘Bust’ hand. I cannot help you.” Essentially, he has limited his hand to less than three or four points in the high honours. You, the opening bidder, may have a hand that can make a game with no help from partner, in which case you now bid the game. Or you may know that game is not likely because your partner has a “Bust” hand, so you bid a part-score. The responder passes and there the contract sits. For responder’s second choice, if he has an Ace or a King or two Queens, he makes the artificial bid of Two Diamonds. This bid is forcing to game at least, but leaves lots of room to explore for the best contract. It says nothing about Diamonds. It is telling you that he has at least three or more high honour points. (Don’t count the Jacks.) As you have at least the 22 points that you promised with your Two Club bid, you have a good shot at making a game. Generally, a partnership can make a game in either Hearts or Spades or No-Trump with about 25 points. Of course, there are few guarantees in Bridge. Suits may not split evenly. Finesses may not work. Players play the odds, and usually it works. For responder’s third choice, if he has eight or more points and a five-card suit, he shows this by bidding the suit. You then know that you are close to slam territory and you have some idea about a possible suit. Especially if you have more than 22 points, the possibility of slam is even stronger. The partnership exploration continues. If they find that they have a fit in a suit, they can make Cue Bids to show first-round controls or they can ask for Aces. 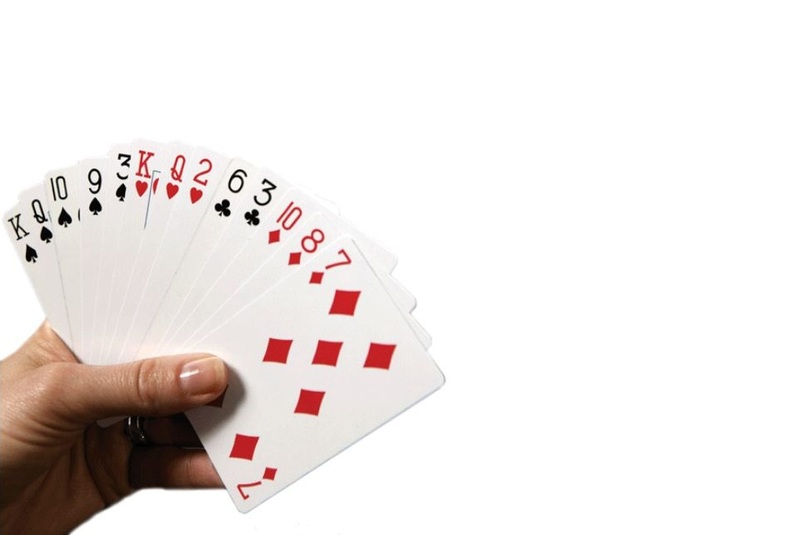 In some cases, the partner may have eight or more points but doesn’t have a five-card suit. In that case they continue exploring and perhaps find a fit in a suit held by you or discover that a No-Trump contract is best, either at the game level or at the slam level. But what happens if the responder’s suit is Hearts? Most artificial conventions do have their downside. The preferred method is for the responder to bid Two No-Trump to show he has a Heart suit and the required number of points. The experts like this because it takes up less bidding space making it easier to find a slam. On the other hand, it’s easier on the memory of non-expert players to jump to Three Hearts if you have a Heart suit and eight or more points. You and your partner can decide which is best for you. At this point, more and more players are playing this system. Players have found it frustrating when the responder answers with a Two-Diamond Waiting Bid when he has next to nothing. Usually, these games earn a big penalty. Try the “Two Heart Bust” bid, you’ll like it. A fundraiser to assist young women in Muskoka attending Post Secondary Education. Games are at the Active Living Centre on Thursdays at 7 p.m. in the multi-purpose room 2nd floor (elevator) at the back entrance of the Canada Summit Centre. Just come – with or without a partner.